Prescient announces a new office to support its growing base of clients in the State of Wisconsin. Our expansion into the state of Wisconsin was prompted both by our growing presence in the area and the consistent economic growth in the state, and we feel that Steven is the perfect person to spearhead our expansion. Prescient Solutions, a Crain’s Chicago Business Best Place to Work and leading provider of information technology (IT) outsourcing, onsite and remote IT solutions and consulting has announced a new office to support its growing base of clients in the State of Wisconsin. The new office, located at 200 S. Executive Drive in Brookfield, Wis., is Prescient’s third office overall, joining the company’s corporate headquarters in Schaumburg and remote IT services location in downtown Chicago. 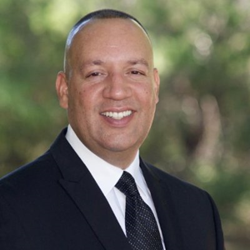 The office will be led by experienced industry leader and U.S. Army Veteran, Steven Solano. Steven will lead new revenue growth for Prescient Solutions’ products and services in the sales territory of Wisconsin. Prior to joining Prescient, Steven has been involved with enterprise IT Sales since 2010 having led new revenue growth and territory expansions for several high-tech companies including Solarwinds and AlienVault. Steven holds a Master of Science degree in Computer Information Systems from St. Edward’s University and is a graduate of the Defense Information School, a Department of Defense school located at Fort George G. Meade, Maryland. Prescient Solutions has worked with many companies in Wisconsin and throughout the Midwest. Learn more about Prescient’s capabilities and success stories here. Prescient Solutions is a Chicago-based IT consulting company that provides onsite and cloud- based services to small, mid-sized and global organizations, and government entities. For more than 20 years, its expert team has advised organizations on best practices in IT and cybersecurity, and guides executives in IT budgeting, contingency planning and auditing. For more information call 888-343-6040, or visit http://www.prescientsolutions.com.